Description The ultimate Protector experience. Protector 4 takes the now classic gameplay and expands on it massively. Work as a mercenary for 11 different factions using 46 unique units. 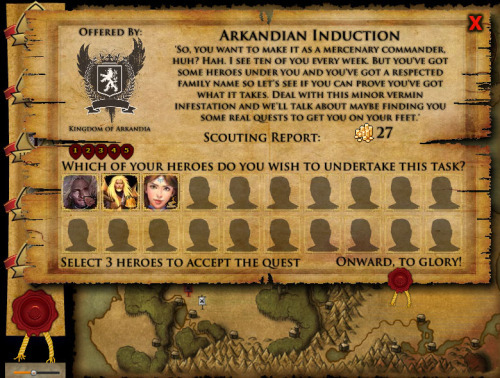 Hire your entourage from a selection of 100 heroes and use them to slay monsters, earn rewards and collect powerful treasure across the entire kingdom of Arkandia! Finish your Protectomon collection and uncover ancient artifacts for your heroes with the help of Arkandia Jones the explorer. Controls Navigate the game with your mouse.